After a series of successful Closed Beta tests, Life is Feudal: MMO, the social-focused medieval life simulation for Windows PC from Bitbox, will be launching in Open Beta on November 17. 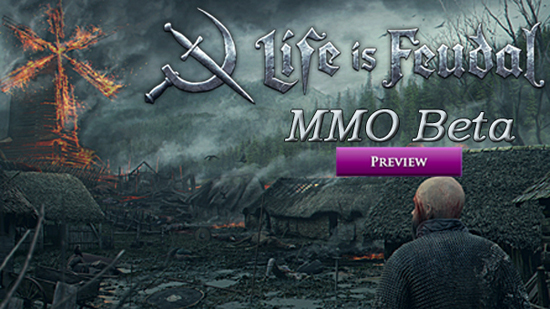 In Life is Feudal: MMO, players will explore and conquer a realistic medieval world, starting out as lowly peasants, and working their way to the "top of the food chain", through crafting and construction. It's a dangerous world out there, and players shouldn't expect to go it alone, as the most successful medieval explorers are those who team up with others, form guilds and contribute to a fully functioning feudal society. Some will be butchers, others, bakers, and a skillful few will become knights...or even kings! Sign up for the Life is Feudal Beta today, visit play.lifeisfeudal.com.